So this week was a pretty slow week but I know that it will pick up soon! My companion just got called to be District Leader so we had to go to some training meetings this week. A lot of our appointments fell through however, we were finally able to make contact with 3 families that we hadn't been able to contact for months! We are super excited to meet with them again! Since this week was the first in the new transfer, that means that we got a new batch of missionaries so I am officially no longer the newest Elder out here! This week, we'll have our Zone Leadership Conference which means that I am pairing up with the other District Leader's companion while the leaders have their meeting. I found out that the other District Leader's companion just came out this past transfer so I will have to take the lead. Talk about the blind leading the blind. I am super nervous about it but Elder Lui has reassured me that I can do this. We are super close to making baptismal dates with a few of our investigators and are super excited for that! I have truly come to love the people here, members, non-members, and missionaries alike. A Native American story tells of two wolves within each of us. One is evil and the other is good. They are constantly fighting for control. When asked which wolf wins, the man telling the story replies, "the one you feed." Far too often, Satan has really been trying to influence me and my companion with doubts and disappointment. However, we look forward with much faith and joy knowing that if he is working so hard to stop us, we must be getting close to an awesome investigator. Rather than succumbing to that evil wolf, to that whisper of doubt and deceit, choose to feed the good wolf. Listen for that still, small, voice. It is good and will always encourage us to do good. As always, I love you all and thank you for your prayers and emails and testimony. I can't wait to hear from you next week! This week has been a bit slow but we know that next week will be better! We got transfer notices and my companion and I are staying. My companion has been chosen to be the new District Leader, something he is very excited about. We are getting a new missionary (straight outta the MTC) in our district so I will no longer be the newest kid on the block! This week, I learned the power of planning. Every week, we prayerfully plan out the next week. We planned to stop by one family but when the day came, we realized that the husband wouldn't even be home because he coached football practice. However, we still decided to go, not knowing why. When we got there, we learned that the mother-in-law was in the hospital and they wanted us to come and give her a blessing. It was such a powerful experience to know that when you do as you are supposed to do, God will use you to answer other people's prayers. We also had President come with us for a day and I was super nervous to say the least. However, he was super cool and gave a lot of great pointers. He said we were doing great. He's such an awesome man. To close, I wanted to share an experience from a talk in sacrament meeting this past week. The speaker told the story of how a man was working on his roof when he suddenly lost his footing and began to slide towards the edge. He was facing a very long drop and could be seriously injured or even die. He cried out a prayer to God and said, "Heavenly Father save me!" and no sooner had the words escaped his mouth than a nail caught his jeans and stopped him from sliding. He then straightened up and said, "Never mind, I got it!" Often times, in our lives, we pray to Heavenly Father and feel He doesn't answer our prayers when in fact, He has been doing so all this time. We need to be able to recognize His hand in our life and give thanks for it. Recognize God's hand in your life and you will begin to recognize all the blessings we have because of Him and the bad in the world doesn't seem so bad anymore. Thank you for your emails and prayers and support! I love you all! Until next week! I wanted to quickly relate one touching story. We met with a young boy who is about 9 years old and isn't baptized yet. He lives with his grandmother and she is a member. This young boy has an intense fear of water after nearly drowning at a much younger age and is absolutely terrified of going underwater. When we first met with him, he didn't open up at all. After talking to him and asking questions, he broke and began to cry heavily. He said that he wanted one of us-my companion or I-to baptize him because he feels safe with us. He has an amazing testimony of the church. He is torn between his fear of the water and his desire to be baptized. He has committed to baptism and we are slowly working him towards the font. He is such an amazing kid, stronger and braver than most. His experience has added to my continually growing testimony. My companion has managed to stay on his bike since my last email. I have been able to learn a lot at his side about missionary work and life. I am super thankful for my trainer. I wanted to close with a quote that was told to us in the MTC that has reentered into my mind at this time. "Preach the gospel always, with words if necessary." Be aware of your actions and always be an example of the church. Someone is always watching and you may be the only influence of the gospel in their lives. Don't be afraid to open your mouth to share the gospel with your friends and loved ones as well as co-workers and aquaintences. 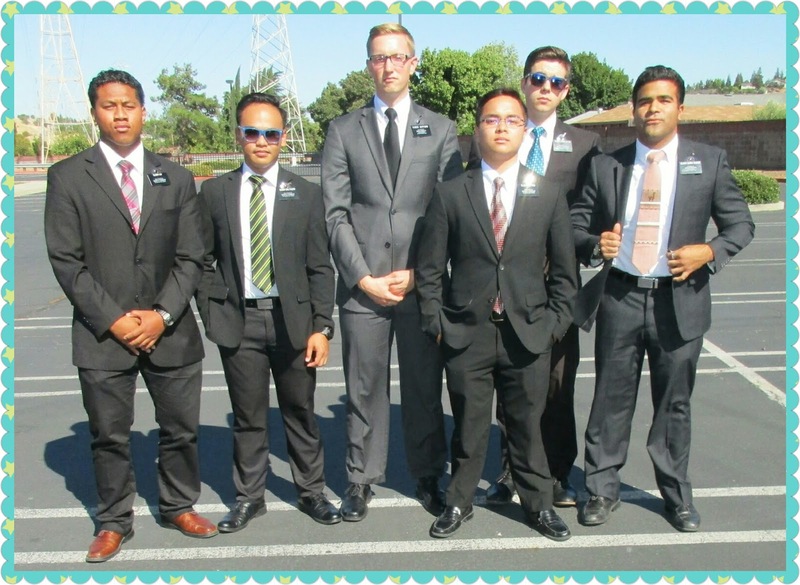 One thing I've learned while on my mission is how much more I could have been doing to help the missionaries. We rely on your referrals and help to reach out to our brothers and sisters. Our investigators that are most likely to be baptized are from member referrals because they have that support from someone they know, love, and trust. You do not have to have the name-tag to do the work. 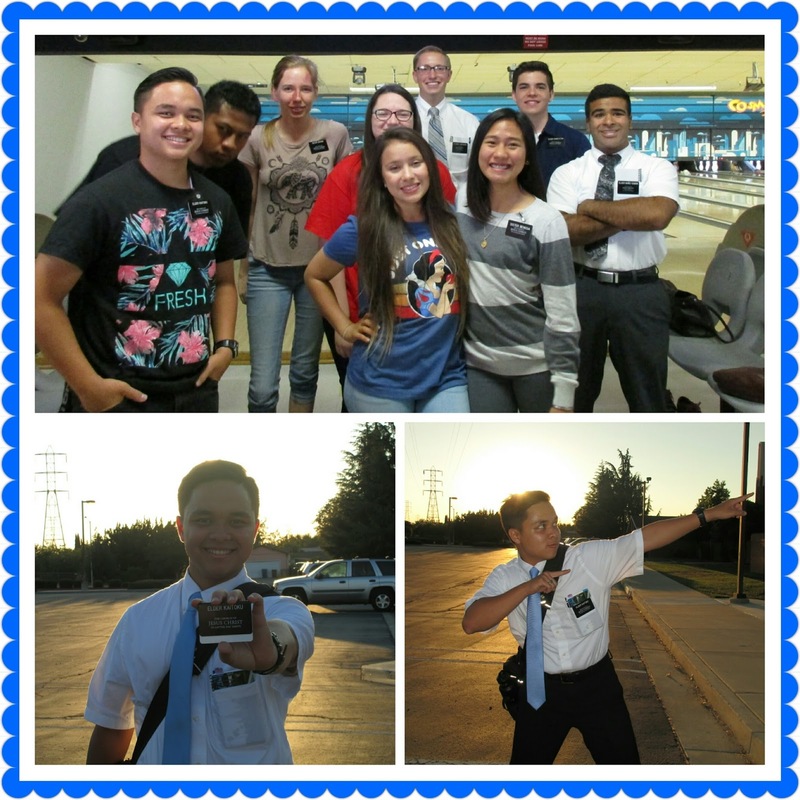 I love my mission, the people, and my companion. I love everything about this work and I continue to grow closer to my Heavenly Father each time I help someone else grow closer to Him. I love you all and I will email you again next week! It hasn't been long since we last talked so this will be quite short. First off, I sprained my ankle on the day of the temple visit while playing basketball. I landed wrong after going up for a dunk....okay it was a lay-up. However, it is all good now. I am able to walk and ride and continue on in the work! First off, NO I am NOT being disobedient! I know it's Thursday. We had half a P Day on Monday because today, we had the opportunity to go to the temple. After that, we had a BBQ and played some games at the mission home. It was an overall great experience. I feel as though a lot of questions pertaining to some investigators were answered as well as some thoughts and questions I'd been having. Let's see, what's happened since the last email? Well we received some exciting news from the District Leader. Next week, our mission president is coming out to the zone for some zone training. After that meeting, he will be spending the rest of the day with me and my companion. Whoo! No pressure. I'm actually looking forward to it. I'm excited to see what he has to say and pointers he might give that can help improve the work in our area. We also got our hair cut from another missionary out here. Trying something different. (Don't worry mom. It looks fine). I've also dropped about 5 pounds since leaving the MTC. I have actually grown to really love the biking. It's been keeping/getting me in shape. After dinner, we were riding to go to an appointment when we stopped by a family hanging outside their house. It took about .2 seconds for me to hear that pidgin accent and realize they were from Hawaii. Their name is ther Perota's and they're from the Puna area. The mom's name is Kau'i and the dad's name is Calvin. (In case you happen to know them, dad). Aunty Kau'i graduated from Kamehameha Schools so we had a lot in common to talk about. She is a Hawaiian language teacher at Stanford. It was great to be able to talk pidgin again. It's been so long. My companion was laughing because he said he could hear such a difference in how I was talking and the excitement of finding someone from Hawaii was evident. To close, another story concerning my companion and his biking. I was riding in front as we were going down the street. Every now and then, I would turn to face him to ask a question on where we were going or make a comment. One of those times, as I turned around to face forward, I saw a sign dead ahead. I was able to quickly maneuver my way around it. As I passed it and let out a sigh of relief, I heard the loud and distinct "BING" of metal hitting metal. Elder Lui had been following me close behind and had almost no time to react to the oncoming pole. Quickly turning, I saw Elder Lui miraculously still on his bike and still going forward. As the pole came in, he had let go of the handlebar with his left hand where the pole made contact and yanked the right handlbar back hard before it could swerve and buck him over. He was pretty proud that he was able to stay on. I'll email all of you again next Monday and I can't wait to hear from all of you! As I am learning everyday, "...as much as ye shall put your trust in God even so much ye shall be delivered out of your trials, and your troubles, and your afflictions, and ye shall be lifted up at the last day" -Alma 38:5. Trust in the Lord with everything! Love Him, serve Him, and He can and will help us through everything life has to throw at us. This week has been yet another amazing week out here in the Antioch area. The temperature has cooled down a bit from 110 to about 100 most days. When I first got here, the cabinets were full of canned goods. Now, they're almost empty because after sorting through them, we realized a lot of the food in our apartment had gone bad almost a year ago. We are planning on going shopping for more groceries today. We had companionship exchanges this past week with our District leader and his companion. They were, however, Spanish speaking. I suddenly realized how much more stressful this mission would have been if I were having to learn another language. I sat through a few lessons where I was not able to say anything or understand anything because it was all in Spanish. It was in that moment that I came to appreciate serving my mission in my native tongue of English. It felt frustrating not being able to keep up with the conversation at first. It was very hot and they were speaking very fast. I didn't know where we were in the discussion or how they were taking it. However, after a little while, I stopped listening with just my ears and began listening to the spirit. I began to notice how deeply interested the investigator was. I could feel her love for her family and her deep thirst for knowledge in the gospel. I wasn't sure the exact places but I could almost just tell what was being said. I began to follow along a little bit better. I could tell when we started talking about the first vision because the spirit was so overwhelmingly strong. At the end, I was able to bear my testimony to her and have my companion translate for me. She looked very happy and thanked me for my testimony. Although I cannot be completely sure of what was said, I know that the spirit was working in that moment in that woman's heart. I know that she was beginning to build her testimony of the gospel. It was such a miracle and a blessing to be able to see that. Ii have also been able to see the blessing of the gospel with my own investigators who speak English. Whether they are progressing investigators who we meet with frequently or new investigators who invite us back, it is such a privilege to be able to see the spirit working in their lives. We were able to find 3 new investigators this week. Sister Ruby Havili moved to our area a little while ago from Sacramento. In Sacramento, she was taught all of the lessons by the missionaries and was basically ready for baptism. Her husband is a member and wants her to be baptized into the church. We have been trying to meet with her but we've always just barely missed her as she works often. We were able to catch her this past week and get to know her. She has a great testimony of the gospel and is still on the edge of deciding for baptism. We excitedly bore our testimonies of the gospel to her and of the importance of baptism. She has been diligently reading the Book of Mormon and is wanting to gain a stronger testimony for herself. We have also been able to meet more with the Nieves family. The mom and one of the kids are members but less active. They want to start taking the discussions again and want their daughter to be baptized. We are very excited to meet with them more and share our testimonies of the gospel. I also gave my first blessing this past week. We had dinner at a member's house and they had their great-grandmother in bed nearby. After dinner, they asked us to perform a blessing for her because she was not looking well. Naturally, my trainer and companion, Elder Lui, saw this as a wonderful opportunity for me to learn more about being a missionary and asked that I perform the blessing. I was nervous at first but I cleared my mind and let the spirit guide me in my words. Afterwards, she was looking much better. She was able to sit up and eat a little bit more and wasn't coughing so much. I will never forget this experience or the feeling that I was able to have. Next, I would like to relate one more story to you all. As we rode throughout the streets and pathways of Antioch, I was in front with my companion in back. On our left side, there were bushes and assorted shrubbery. On the right side was a few trees and then the main road. As we rode, I suddenly felt Elder Lui's tire hit my back tire. I turned instinctively just in time to see his wheel turn suddenly and his bike launch him over the handlebars and into the bushes nearby. I stopped and waited for him to get out of the bushes, laughing the whole time. Once again, he proclaimed to me, "No scenes! No scenes! We gotta go! Go go go go!" However, he had a "pocket puke" (when everything in your front pocket such as your nametag, pass along cards, and our pocket map falls out) and he was stuck there for a while. He never ceases to make me laugh. In closing I wanted to again express my gratitude for this opportunity to serve. I love the Lord and I love these people. I love all of you. Thank you so much for taking the time to read my emails and write some emails in return. I love hearing from all of you. I wanted to share with you a spiritual thought from a scripture that I had come across during personal study one morning. 3 Nephi 13:31-34 "Therefore take no thought, saying, What shall we eat? or, What shall we drink? or, Wherewithal shall we be clothed? For your Heavenly Father knoweth that ye have need of all these things. But seek ye first the kingdom of God and his righteousness, and all these things shall be added unto you. Take therefore no thought for the morrow for the morrow shall take thought for the things of itself. Sufficient is the day unto the evil thereof." I know that if we put God first in our lives, that He can and will take care of the rest. This scripture truly is a challenge of faith directed towards us. If we are willing to put God first, He can and will take care of everything else. If we act in faith and do this, we will be blessed. I challenge each and every one of you to remember what it means "to take upon them the name of Christ" and "always remember Him". I know that life can get hectic and busy most days, but if you make an effort towards putting God first, you will be blessed with that comfort and peace that He promises us. I know these things are true and I say these things in the name of Jesus Christ, Amen. Whoa, is it Monday again already? The time seems to be flying by faster and faster. This week makes a month out in the field and almost 2 months into the mission. It feels like yesterday I was opening my call! About a month ago, we did a zone-wide fast to improve our efforts as missionaries. When we came together again recently, we found that we had received 44 New Investigators as a zone! It was an amazing blessing and a testimony to me of the power of fasting and praying fervently. If and when we pray with true faith, the Lord can and will answer our prayers. If we do our best, God will take care of the rest. However, that means we truly have to try our best. My father would often tell us a quote that went something like, "If you pray to God to move a mountain, do not be surprised if He hands you a shovel." He has the power to move that mountain with a snap of His fingers, but He doesn't work like that. Instead, He will bless us with the strength and resolve to shovel that mountain over, one scoop at a time. By the end of it, we have grown spiritually, physically, and emotionally. He's constantly looking to build us up and make us stronger. Every morning, we are blessed with personal and companionship study. We will usually predetermine what we will study. This past week, I would set something to study but as I started, I would find myself being led by the Spirit to study something else. I didn't know why and I didn't question it. At the end of the week, we met with a wonderful family, the Faleofa's. They lived in Hawaii and some of their kids went to Kahuku. Sister Faleofa's son is less active and he asked us a lot of questions about a lot of things. We were able to answer pretty much all of his questions and address his concerns. I realized that almost every question he had asked pertained to something I had studied that week for personal study. I am constantly seeing the blessings and miracles out here in the mission field that come with being obedient to the rules of a missionary. This week, my companion DIDN'T fall off his bike and that is somewhat of a miracle as well. Sister Dartnell is in charge of assigning dinners for the missionaries and she does an amazing job! There is probably only one day a month that doesn't get filled in and even then, she usually gets it filled in. Well this week, we had that one day. I decided to make kalua pig (because I had gotten some ingredients and we had a crock pot). I put it in that morning for it to be done around dinner time. As we started back for home and dinner later on that day, we received a call from a member. He told us we were supposed to be at his home for dinner that night. It wasn't on our schedule but we stopped by anyway. Sadly, I had to refrigerate my kalua pig for the next day. Sister Faleofa also gave me a big bowl of poke fresh from Hawaii (someone in her family had just come back from the islands and brought that back with them.) It was suuuper ono. #blessings. I just wanted to end by bearing my testimony of the truthfulness of this gospel and the blessings that come with missionary work. I've never prayed or studied the scriptures so much in my entire life. "...as much as ye shall put your trust in God even so much ye shall be delivered out of your trials, and your troubles, and your afflictions, and ye shall be lifted up at the last day" -Alma 38:5. I am learning more and more to put my whole trust and faith in the Lord and I am seeing the blessings and His hand in my life. I love all of you! Have a blessed week! Oh yeah! Before I forget: Quick funny story, so every companionship has phones and every now and then, we'll get a text from the mission office concerning mail. If it's not addressed to an "Elder...." or "Sister..." or even their first names (like, if it is addressed to a nickname) they'll send out a mass text to the whole mission and ask whose letter/package it is. This past week, we got a text that said, "We have an unidentified letter at the mission home addressed to "Docta DRE" from "Snoop Lion" is this anybody's?" Me and my companion were cracking up. I asked my companion if anyone from home ever called him "Docta DRE" back home and he said yes and that the letter might be his. He hasn't claimed it yet.